The best fish oil for fertility can have short-term and long-term benefits for both men and women. Research indicates that increased intake of Omega-3s not only boost fertility but it also contributes to the general well-being of a person. 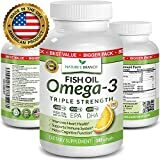 Unfortunately, it is impossible to get the required amounts of Omega-3 from the regular food we eat, which is why supplementing with fish oils is essential. People who do not have a proper diet are often advised to supplement with Omega-3. These are polyunsaturated fats that exist in two forms. The first form of Omega-3 is ALAs, which are derived from plant-based products such as flax seeds, canola oil, and leafy greens. The second form of Omega-3 is DHA or EPA, which is derived from fish such as herring, salmon, and mackerel. Omega-3 can also be found in marine organisms like Krill. Even with the recommended 2 to 3 servings of fish per week, our bodies will still not get the required amounts of Omega-3. In addition, mercury in fish may pose serious health risks both in the short and long term. 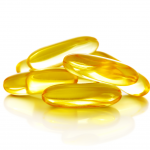 Supplementing with fish oils is a safer way of consuming the right amounts of Omega-3. That said, here is a review of the best fish oils on the market with high amounts of Omega-3. The market is proliferated with various brands of Omega-3 supplements each promising better health and so on. However, not every label you read is truthful which is why you should be a little vigilant when purchasing fish oils. 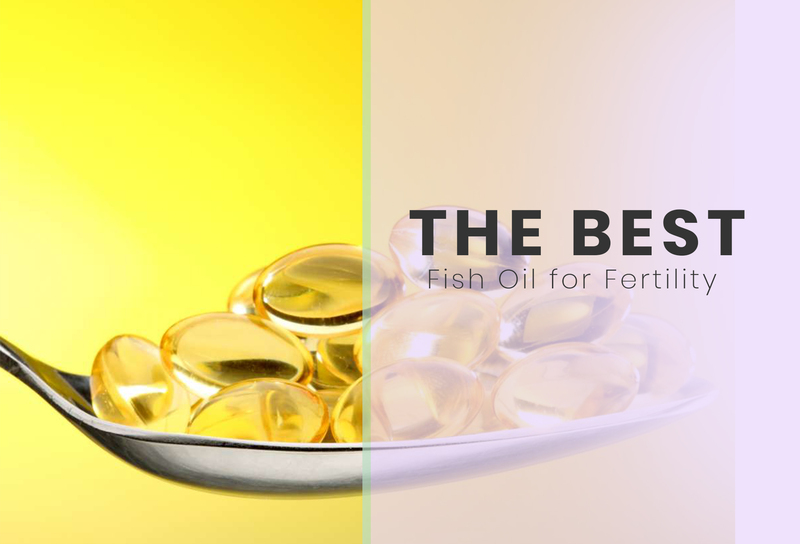 Here are factors to look for when determining the best fish oil for fertility. Remember, EPA and DHA are the core fatty acids for boosting facility. The more EPA and DHA content a supplement has, the stronger it is in terms of Omega-3 delivery. 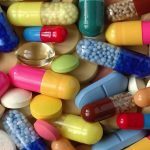 Since most product labels would lie about this, it is safer to buy supplements that are lab-tested for strength. The fresher the fish oil, the greater the benefits it will have on your health. On the other hand, fish oil contains polyunsaturated fats that oxidize easily. Oxidized fish oil develops a rancid smell and causes fish burps. Always check the expiry date on Omega-3 supplements before purchasing them. Also, ensure you consume the product within the period stipulated. If a supplement is to be consumed within 30 days, follow that rule to the book. Otherwise, the capsules will oxidize and go rancid. Unpurified fish oil contains high amounts of pollutants like mercury, lead, PCBs, furans, and dioxins. Fish oil goes through a molecular distillation process to remove these environmental pollutants and toxins. Consider buying fish oil supplements derived from small fish like sardine and herring. Small fish have a shorter lifespan, therefore, have a lesser chance of building up pollutants in their body. You may also want to buy Omega-3 supplements from companies that provide a Certificate of Analysis. This Certificate is a detailed report of all the results tested on their fish oil products to affirm they do not contain impurities. How easy your body absorbs the nutrients in fish oil determines its absorption rate or bioavailability. Fish oil products whose molecular integrity has not been ruined by industrial processing absorb quicker. Consider Omega 3 fertility oils that exist in their natural triglyceride form. Such oils have high EPA and DHA content, which also makes them highly bio-available. However, synthetic triglyceride oils tend to be more expensive compared to the more common cold-pressed fish oils. Cheap does not necessarily mean quality when buying fish oil supplements. Omega 3 supplements with high DHA and EPA content tend to be more expensive. Fortunately, the dosage is also lower, and the effects are felt sooner. On the other hand, cheaper fish oil supplements often come with low levels of EPA and DHA. Though they are budget-friendly, they also require a higher dose to rip the full benefits of their nutrients. The best option for ensuring value for money is to calculate cost per gram when window-shopping for fish oil. Though this is a matter of personal preference, fish oil absorbs faster than a capsule. This is because the body has to break down the capsule to absorb the oil which takes time. If the capsules are made with gelatin from animal products, they will be harder to break down meaning more absorption time. Capsules are more for the convenience of not having to taste or burp fish oil. If you do not mind the waiting time, then go for softgel capsules. Coromega Omega-3 sachets are easy to use and deliver a better-tasting gel for your daily supplementation. This gel is emulsified to ensure it absorbs faster than fish oil pills. Garden of Life fertility supplements is formulated from the purest fish oil that is carefully distilled to extract as much DHA and EPA as possible. Diet Standard's algae are tested and certified by third-party labs for purity and freshness. It is one of the prenatal vitamins recommended for prenatal and postnatal mothers looking for quality supplements with high DHA content. FH Pro Omega 3 capsules are recommended for anyone looking to boost their fertility. It packs DHA and EPA fatty acids derived directly from herring, anchovies, sardines, and mackerels. A daily dosage of Arazo fish oil capsules deliver 2.3 g of Omega-3 fatty acids that support heart health and fertility. This product is tested and certified to be free of impurities, PCBs, and any other contaminants. BulkSupplements Omega-3 softgels contain EPA and DHA that are known to promote hair growth and healthy skin. These fatty acids also improve heart health and prevent weight-gain by reducing cholesterol levels. Nature’s Oil Omega 3 supplements are coated with a lemon-flavored capsule to make them easy to swallow. In addition, the capsules are lined with a burp-free coating to prevent fish burps or the dread fishy aftertaste. Each dose of Earthwell fish oil supplement delivers 1500 mg of Omega 3 fatty acids. Regular supplementing with Omega 3 can help improve fertility and increase the chances of having a baby. This product is manufactured under controlled conditions to eliminate contaminants from the final product. The capsules are molecular distilled to weed out impurities then tested by third-party labs for mercury and other metals. Health Life zero fish-oil capsules pack enough Omega fatty acids to support optimal health. The Omega fatty acids in this product are naturally derived and cold-pressed to ensure maximum purity in the final product. This product is a perfect choice for people who want to supplement with omega 3 without having to deal with the nasty aftertaste of fish oil. Coromega Omega 3 supplements are packed in sachets with a stevia-sweetened gel. About 2.5g of this product per day is enough to supplement your Omega 3 intake. Coromega Omega-3 sachets are easy to use and deliver a better-tasting gel for your daily supplementation. This gel is emulsified to ensure it absorbs faster than fish oil pills. In addition, Coromega Omega-3 gel is made from purely refined fish oil that is processed using molecular distillation to remove any carcinogenic impurities or environmental contaminants. This product contains no artificial sweeteners, colors, or gluten that are often associated with various negative side effects. Each sachet is a rich source of EPA and DHA, the purest form of Omega-3 fatty acids. An additional benefit of this supplement is that it is orange-flavored to completely mask the aftertaste of raw fish. 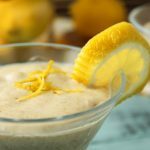 This supplement is also available in chocolate and lemon-lime flavors. 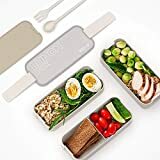 This product is the cheapest of the 10 we are reviewing here. Garden of Life is also known for manufacturing high quality and effective supplements and vitamins certified for human consumption. 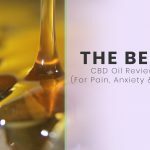 Their fertility vitamins are delivered in a 30 capsule pack, which makes it easy to complete a dosage and rip the full benefits of Omega 3 fatty acids. Garden of Life fertility supplements is formulated from the purest fish oil that is carefully distilled to extract as much DHA and EPA as possible. In addition, through the molecular distillation process, the fish oil is thoroughly filtered to remove impurities and any environmental toxins. The end products are smaller strawberry-flavored capsules that are easy to swallow and pleasant tasting. This product packs the required amounts of Omega-3 fatty acids to promote cardiovascular health, bone health, and fertility. Continuous dosing with Omega-3 can greatly improve moods and your overall emotional well-being. In postnatal care, mothers who supplement with Omega-3 improve the quality of breast milk for their infant. This product is formulated specifically for vegan prenatal mothers. It packs 100% pure and organic Omega 3 oils derived directly from Algae plant. It contains no wheat, soy, gluten, preservatives, or artificial flavors making it ideal for pregnant and nursing mothers. Diet Standard's algae are tested and certified by third-party labs for purity and freshness. It is one of the prenatal vitamins recommended for prenatal and postnatal mothers looking for quality supplements with high DHA content. One bottle of Diet Standards fertility oil offers a two month’s supply of Omega-3s and vitamins which is economical for pregnant mothers who cannot move around much. Though pregnancy has its challenges, this product is designed to make the process easier. You have the peace of mind that all ingredients in the bottle are natural and GMP/FDA approved. You also feel confident that your baby will receive enough DHA for brain development through your breastmilk. If you really want to reap the benefits of Omega-3 fatty acids, you have to get them from their richest source; fish. This product is by far the best because it sources its Omega 3 oils from small fish in Iceland. 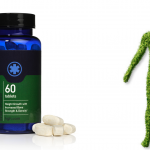 Each capsule delivers 675 mg of Omega 3 whose benefits begin to show within a month of supplementing. FH Pro Omega 3 capsules are recommended for anyone looking to boost their fertility. It packs DHA and EPA fatty acids derived directly from herring, anchovies, sardines, and mackerels. The high Omega 3 content in each capsule promotes fertility by boosting sperm health and reducing FSH levels in women. 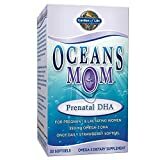 In addition, nursing mothers who want their babies to develop proper cognitive functions will find the DHA content of this product very beneficial. 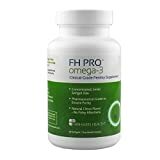 FH Pro Omega 3 supplements come in small softgels that are easy to swallow. Moreover, the softgels are coated with a citrus-flavored membrane to mask off any fishy smell or aftertaste. This product is pharmaceutically approved to contain the purest and highest quality of EPA and DHA. It contains no artificial fillers or preservatives that may harm your health. 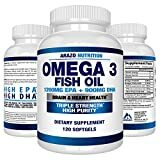 Arazo Nutrition, formerly Bioscience Nutrition, have kept with the market standards by providing a fish oil supplement that boasts of high purity and triples the strength of Omega-3 content. This product features lemon-flavored capsules as well which masks the pungent smell of fish oil and makes the capsules easy to swallow. A daily dosage of Arazo fish oil capsules deliver 2.3 g of Omega-3 fatty acids that support heart health and fertility. Arazo is also one of the few companies to use natural flavors in their supplements. This product is tested and certified to be free of impurities, PCBs, and any other contaminants. 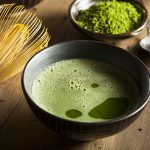 The main ingredient is sourced directly from the ocean and extracted with special techniques to ensure high amounts of DHA and EPA are extracted from the ingredient. A special film is added on the lemon-flavored capsules to make them burp-free. Each capsule packs 2,250 mg of Omega 3 fatty acids, which is higher than many fish oil supplements on the market. This product is quite effective when it comes to providing the right nutrients to support fertility. It only packs the necessary Omega 3 fatty acids with no artificial sweeteners, preservatives, wheat or gluten products. Each capsule delivers 1000 mg of Omega 3, which support various physiological processes and general health. BulkSupplements Omega-3 softgels contain EPA and DHA that are known to promote hair growth and healthy skin. These fatty acids also improve heart health and prevent weight-gain by reducing cholesterol levels. The Omega-3 in each capsule helps to boost the immune system and has anti-inflammatory properties. 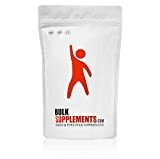 BulkSupplements fish oil supplements are coated with an edible capsule to make them easy to swallow. The recommended dosage is two capsules a day unless stated otherwise by a trained physician. This product contains three times more fish oil than many other supplements on the market. Each softgel delivers about 2500 mg of Omega-3, which is the required amount to stay healthy. Nature’s Oil fertility supplement is manufactured with fresh fish oil sourced from U.S. ocean waters. The oil goes through a molecular distillation process to ensure the end product is pharmaceutical grade and meets GOED standards. Nature’s Oil Omega 3 supplements are coated with a lemon-flavored capsule to make them easy to swallow. In addition, the capsules are lined with a burp-free coating to prevent fish burps or the dread fishy aftertaste. The presence of a burp-free coating also ensures the softgels do not cause nausea or gastrointestinal issues when ingested. This product is safe for use by the entire family. 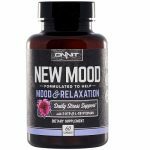 It can be used by men to improve mental concentration and sperm health. Women also benefit because the Omega-3 in this supplement lowers FSH levels and slow down menopause. Nature’s Oil omega-3 supplements also have a potential of boosting cognitive function and body development in young children. 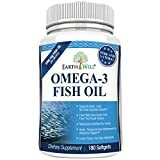 Earthwell fish oil capsules have tripled the benefits of Omega 3 per serving. This product is processed using a sophisticated Norwegian technology to ensure the end product delivers the health benefits it promises. You do not have to worry about artificial fillers or potential contaminants when supplementing with Earthwell Omega-3 capsules. Each dose of Earthwell fish oil supplement delivers 1500 mg of Omega 3 fatty acids. Regular supplementing with Omega 3 can help improve fertility and increase the chances of having a baby. Long-term consumption of Earthwell fish oil capsules can potentially prolong your reproductive phase and slow down menopause in women. Earthwell Omega supplement pills are lemon-flavored to make them easy to swallow. In addition, the flavored capsule ensures you are not left with a fishy aftertaste or breath. This product is a natural solution for tackling health issues like high cholesterol, joint inflammation, alopecia, skin dryness, or inability to concentrate. What makes this product different is that it replaces semi-synthetic oils with the more superior triglycerides. Triglyceride absorbs faster into the bloodstream and has better protection against fetal alcohol syndrome. Best Nest wellness fertility oils are also derived from pure fish oils harvested from Iceland anchovies. This product is manufactured under controlled conditions to eliminate contaminants from the final product. The capsules are molecular distilled to weed out impurities then tested by third-party labs for mercury and other metals. This ensures both you and your baby remain safe as you reap the benefits of EPA and DHA in each capsule. Another benefit of Best Nest Wellness capsules is that they are designed to address the sensitive palate of pregnant women. The pills are coated with a lemon flavor to mask the aftertaste of fish, which can be stronger during pregnancy. Moreover, the pills are small enough to make them easy to swallow while dosing. This product contains no artificial sweeteners, colors, preservatives, dairy, gluten, or GMOs. 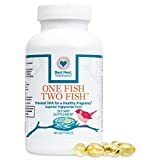 This product is designed for anyone who wants to reap the benefits of Omega 3 supplements with a guarantee of zero fish burps afterward. Health Life Omega 3 capsules are formulated from pure organic seed oils and contain all types of Omega fatty acids; 3, 6, and 9. The lack of fishiness also means there is no bitter aftertaste to worry about when supplementing with this product. Health Life zero fish-oil capsules pack enough Omega fatty acids to support optimal health. The Omega fatty acids in this product are naturally derived and cold-pressed to ensure maximum purity in the final product. There are no artificial additives or preservatives in this product making it one of the most organic Omega 3 6 9 supplements on the market. Health Life organic seed oil capsules are recommended for people with gastrointestinal issues or digestive issues. This product is also ideal for women who want a natural way of boosting fertility with zero side effects. Health Life Omega supplements can also benefit men who want to improve their sperm health and increase their chances of starting a family. The best fish oil for fertility contains high amounts of EPA and DHA, which are nutrients, derived from Omega 3 fatty acids. In addition, it is essential to ensure that your fish oil supplements are easy to absorb, contain fewer impurities, have a stronger nutrient content, and are definitely value for money. You also need to consume the capsules when they are fresh to enjoy their benefits while avoiding rancid tastes or fish bumps. In our review today, our top choice is FH Pro Omega-3 Fertility Formula capsules. This product packs ample amounts of fatty acids to promote fertility health and fetal development. In addition, the fish oils from this product are derived from herring, sardines, and anchovies, which are small fish with low mercury content. The capsules have a lemon-taste, which masks the taste of fish. We hope you enjoyed our review today. Let us know the fish oil products you love in the comments section below.